EgyptAir and Greece's flagship carrier Aegean Airlines are adding a new route to their existing codeshare agreement, EgyptAir Chairman Ashraf El-Khouly said on Sunday. 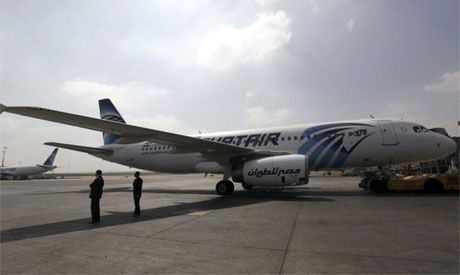 EgyptAir clients will be able to book tickets to travel to Marseilles via Athens airport, he said. Tickets for the new route are available now on EgyptAir's website, he added. Other routes had been already open to customers including Athens to Thessaloniki, Rhodes-Heraklion and Chania. The codeshare agreement was signed in 2013.